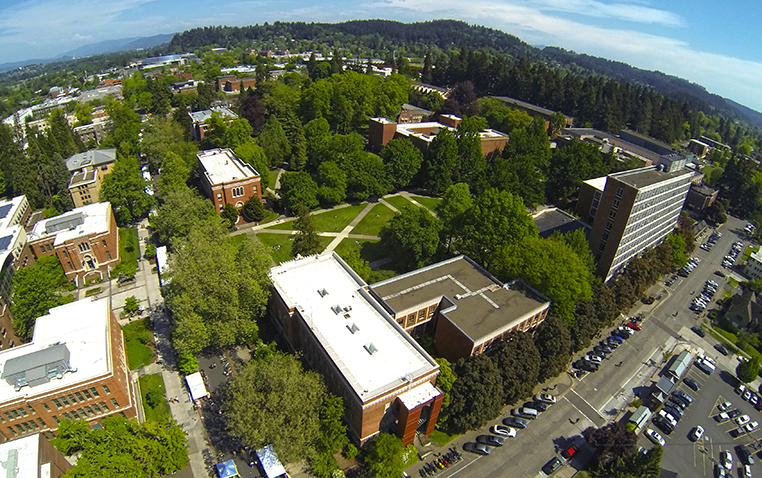 The University of Oregon will begin bringing finalist candidates to campus starting May 7 in searches for deans of the Robert D. Clark Honors College and Graduate School. Provost Jayanth Banavar says the two leadership hires are important for the institution and its academic aspirations. Members of the campus community are invited to meet with each of the finalists for both positions during a public presentation and question-and-answer forum during their respective campus visits. During those visits, candidates will meet with constituent groups in their respective schools, colleges or units and with other academic leaders. There are four finalists in the Clark Honors College search. Each of presentations will take place in Room 220, Chapman Hall from 1:30 to 2:30 p.m. on May 8, 10, 15 and 17. The public presentations for the three Graduate School dean finalists will start Wednesday, May 16. The first finalist will give a public presentation from 11 a.m. to noon Wednesday, May 16, in the Erb Memorial Union's Redwood Auditorium. The other candidates will visit May 21-22 and May 24-25. Specific times and locations of their public presentations will be made available online as soon as the schedule is final. Details about each of the candidates will be released in advance of each visit on the provost’s website. Community members are encouraged to submit feedback on the candidates through an online survey that will be posted on the provost office’s website. The search committees for each search consist of faculty and staff from each school, college or unit. The committees also include a student, academic leaders from other divisions and, where applicable, a member of the school or college’s advisory board. Each committee has partnered with a national search firm to ensure a broad and diverse search resulting in exemplary candidates. More details, including information about each position, committee and search firm is available on the provost’s website.